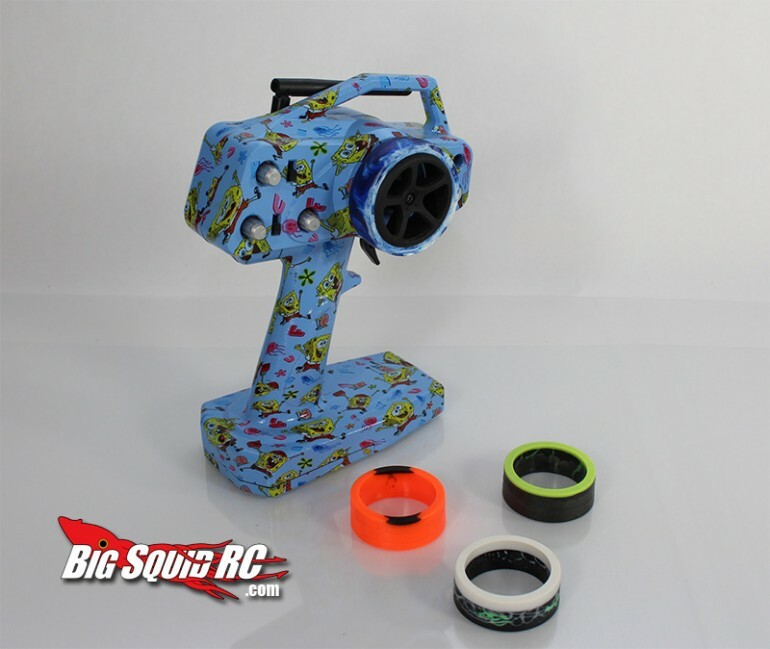 Product Spotlight – PPR Reptile Radio Wheel Grips « Big Squid RC – RC Car and Truck News, Reviews, Videos, and More! As you may of seen in some recent reviews, more and more stock/included radio transmitters have had hard plastic wheels. Seems that many companies are trying to save that $0.07 cents of foam that we all have become accustomed to, and we are not fans. 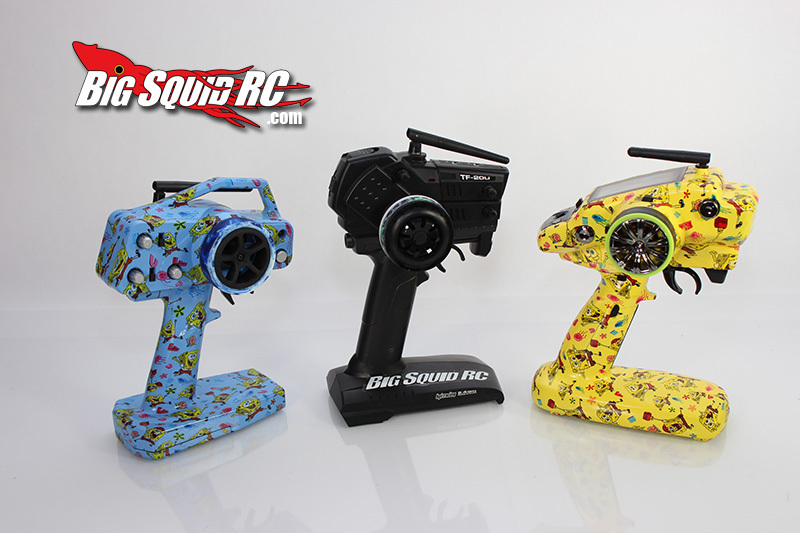 So we got a hold of the folks at PPR RC Products, the guys that make the Reptile Radio Wheel Grips so we could give their stuff a try. The grips come in a normal or soft compound. Unless you knew there were two compounds, you probably wouldn’t notice, but once you know, you can feel that one is a little softer to squeeze. 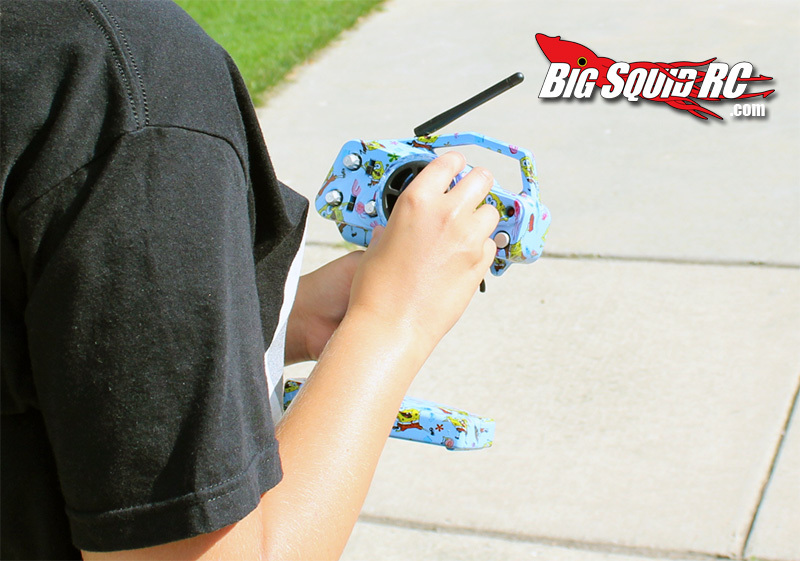 We used the grips on several different radios, from our Hydro Dipped Tactic and Futaba 4PLS to our new HPI Octane radio. 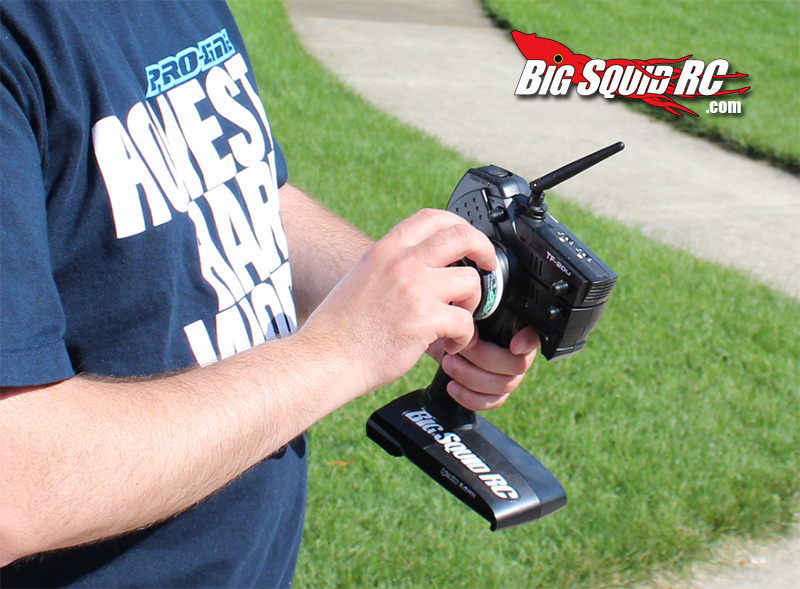 We had no problems installing the grips onto any of the radios we wanted to try them with. They are a pretty tight fit, and on some of the wheels that needed a little more effort to get them installed we chose to remove the wheel first, install the grip, and put the wheel back on. We did this because we just didn’t want to end up cracking the plastic wheel, or the connection that it screws into. It takes an extra minute to install, but better safe than sorry. When installing them on radios that had a plastic wheel, it was a unanimous decision that we liked the feel of the Reptile Grip to just the stock plastic wheel. There was no slippage, from our fingers or from the grip to the wheel. When replacing a radio foam, there were a few people that were fans of the new grip, but a few that still preferred the feel of the foam. This is going to be one of those personal preference things. But if you are like a few of us, and have destroyed your foam, the grips will make a good replacement. Something that we REALLY like about the PPR Reptile Grips are all the different colors and styles they come in, and the fact that no two are alike. Every time you visit the website, there are new ones to check out. In a way they are almost a collectible. If you see a color or style you like, you better order it because the next batch might look completely different. 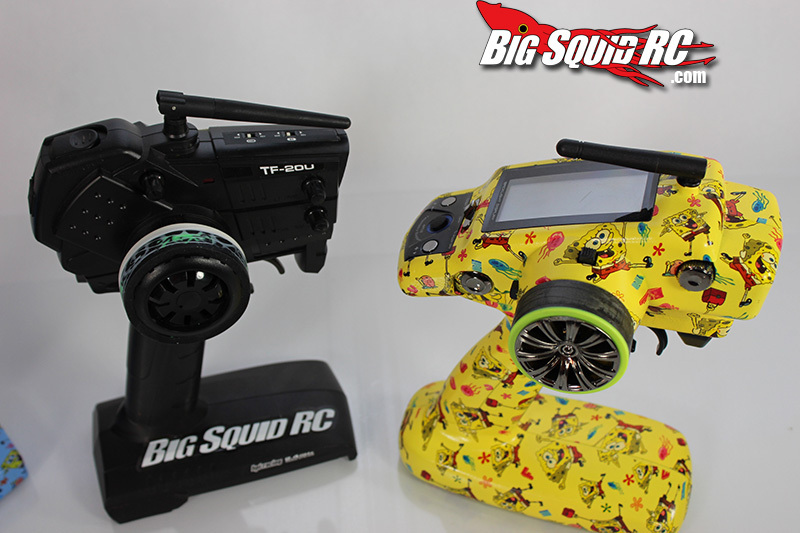 As you can see, we got a variety of styles to try and some even matched our radios! 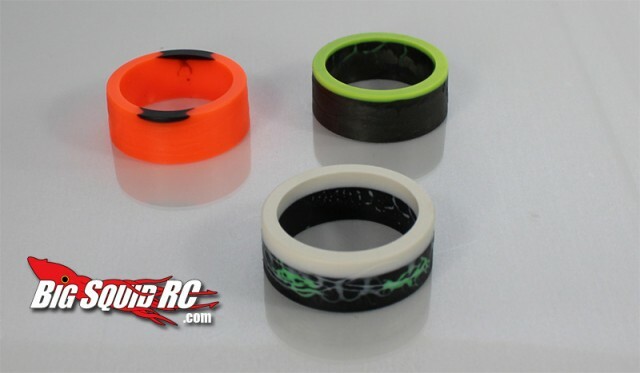 If you are looking for a better grip for that stock plastic wheel, or if you are looking for something that will turn heads at the next bash, or up on the drivers stand, give the Reptile grips a try. They cost about $12 each, and are worth every penny to not have to use that stock plastic wheel. Hit the official PPR Grips website for more info, and to order.